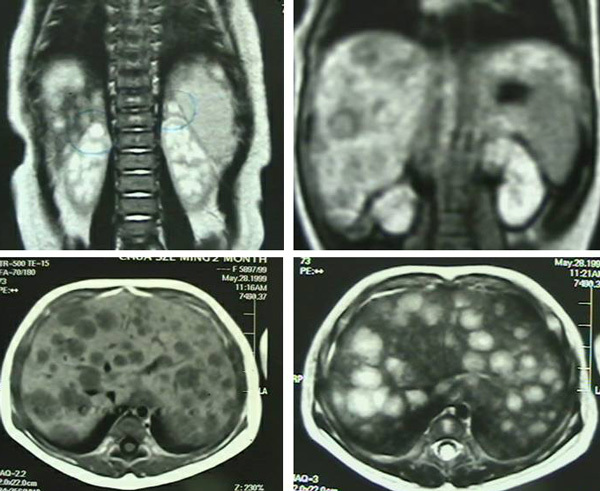 Sent: Tuesday, June 21, 2011 Subject: Neuroblastoma – Stage 3 (from Singapore) – Need help!!! Dear Sir, I have read your successful story of how a baby of stage 4 neuroblastoma was saved from the terror of chemotherapy. It is only if I could have discovered you and your web site earlier that I might not have sent my son who had been diagnosed with stage 3 neuroblastama for his first round of chemo 3 weeks ago. My son of 3 years old was discovered to have a mass near the left side of the kidney on the 29th April 2011. Immediately, he was sent to hospital and after all the scans and biopsy, it was confirmed that he had a tumour. But it was not confirmed if it was a ganglioneuroblastoma or a neuroblastoma. However, an operation was scheduled on the 9th May to take out the tumour. After which, dissection of the tumour has discovered that 7 out of 15 lymph nodes are positive for metastatic tumour. It was confirmed that my son was having neuroblastoma, Stage 3. As a parent, I was totally depressed, lost and confused at that moment, and tried all ways to save my son. Left with limited choices and no perfect knowledge, my son was sent to the first round of chemo therapy on 1st June 2011. My son was admitted to the hospital for a MIBG scan again last week. It was good news that the body is clean. However, I was also told that the MIBG can only pick up images that are visible to the eyes. We are back at home today. The next chemo is scheduled for 29th June. Yes, my son is currently seeing a Chinese physician. He is taking some Chinese medicine and herbs. I cannot really tell but my son seem to still able to eat a good meal and no fever so far. I can bring along the Chinese herbs list by the TMC because I cannot read Chinese. How are you? If you remember that in June this year I sent you a letter that I intend to visit you, but you were in USA. You told me that you will be back in July but unfortunately that my son is in and out of the hospital, and also my wife had given birth to our second child that I was really not able to make it. I have stopped my first child for chemotherapy as he could not take it anymore. I really need to talk to you as I knew you have successfully treated a child with neuroblastoma before. As such, I intend to fly to Penang next Wednesday to meet you up. Please highlight to me how can I arrange to meet up with you.Will appreciate very much. I will bring along all medical reports and CDs . Also, just to inform that my son is presently also under Chinese TMC medications. Hope to hear from you as soon as possible. Thank you very much. Best regards. DK, Desperate parent. Since your son is already on TCM medication, I suggest that you continue with it. No use coming to see me. Let him rest from the destructive effect of the chemo. Even if you come and see me, I am not sure what I can offer you. Your TCM could be just as good as what I am doing. It is also very, very hard for me to care for little children. Chris. Thank you for giving me the chance to see you in person two weeks ago. My son has already been taken your herbs for about two weeks. I can see that he has good energy improvement except that the first few days, he has “rough” voice, could be due to heat, I don’t know. 3 May 2011: A well-defined, lobulated mas – 5.0 x 7.6 x 4.8 cm in the left retroperitoneal / paraventerbral lumbar region, likely a neuroblastoma. There is no extension into the spinal canal. 5 May 2011: Image-guided biopsies – ganglioneuroblastoma, intermixed. Bone marrow, trephine biopsies – no metastatic neuroblastic tumour. Chance of cure 40 to 50% with intensive chemotherapy followed by bone marrow transplantation, radiotherapy (local). DK came to see us on 22 September 2011. The following is our video-taped conversation that morning. This is a case of a desperate father who has to live through the agony of seeing his 3-year-old son undergoing surgery and then chemotherapy. The treatment plan was 7 cycles of chemotherapy, followed by radiotherapy and BMT (bone marrow transplantation). The parent was told, Without chemotherapy the cancer will come back within 6 months. With this intensive treatment the chances of cure is 40 to 50 percent. The treatment sounds excellent if your son is alright, but what if you have to see your son suffering from the side effects of the chemo? As parent, you have to decide if the agony is worth it. There is this often quoted phase, The treatment is worse than the disease! Dr. Jerome Groopman of Harvard University (in How Doctors Think) wrote, Understandably, people want the home run. But often in oncology what we achieve is less than that. And the risk is, by going for the home run, you can strike out. In crude simple language it just means this – Yes, all patients hope to achieve a cure, after spending so much money and having to endure all the sufferings, but how many realized that in the quest to find that cure you might just die half way? Specifically in this case, let us assume that the aggressive chemo, radiation and bone marrow transplantation was a success (note – 40 to 50% chance only) the question that has never been addressed is, What could happen after that? Will the child grow up normally? How much would the trauma that he had undergone undermine his well being as he grows up? Will he get another cancer again sometime in the future? It cannot be denied, the likelihood of another cancer striking him is real. Prof Raymong Tallis, in his article, The ultimate aims of medicine and the future of old age, http://www.hkag.org/Publications/AJGG/v1n3/p157-SP-27.pdf, wrote, Medicine, it seems to me, has two broad aims: to postpone dying due to disease and to mitigate the suffering (pain, disability, anguish) disease may bring. Despite the continuing remarkable triumphs of science-based medicine, some recent developments have prompted questions about whether these two aims may be coming into conflict. From the perspective of a Buddhist, Eric Tsang, (in an article, Prolong life = prolonging pains http://www.etsang.net/article/art013.htm) brings into focus some hard truth we need to face. He wrote, Advancing technologies and medication may be good, but not good enough to conquer maturity and death. New drugs create hopes, but at the same time they create suffering and frustration as hopes vanish. As hospitals are increasingly bureaucratized, the patient is no longer a person in the hospital but turning into a case, a number or a file. In other words, hospitalization has become a process of dehumanization. Dehumanization, however, rationalizes the dilemma of prolonging life of the dying patients at the expenses of extra unnecessary pains and suffering … drugs and equipment can only prolong the life of the terminal patients artificially, rather than curing them … prolonged life promises nothing but endless pain and suffering, not only to the patients but also the loved ones, the friends, families and the health care personnel.” Tsang further added that, “The endless strife on new technologies and novel drugs, at the end of the day, reflects human greed and ignorance. The greed is for knowledge, desire, controls, powers, glories, admiration, satisfaction, etc., and the ignorance of the mystery of life and nature. From a professional perspective, Dr. Bernie Siegel (in Peace, Love & Healing) wrote, Our profession can be incredibly cruel in its relentless focus on keeping people from being dead no matter what the consequences. We have to learn that death is not pathological; it’s a natural part of living, which we doctors have rendered as unnatural. When a physician and patient make decisions about treatment, they should be mindful of the benefits and risks, the needs and goals they share. Their choices should be free of the influences of financial gain and the biases introduced by corporate marketing. Occasionally people with advanced cancers are “flogged,” a distasteful term used in clinical medicine to describe continued toxic therapy with no real point. There are some oncologists who seem to believe that it’s wrong for someone to die without receiving every possible drug. People really wouldn’t want to be treated this way if they truly understood what the likelihood of benefit was. If you do an experiment two times and you don’t get results, then it doesn’t make sense to do it the same way a third time. You have to ask yourself: What am I missing? How should I do it differently the next time? … because it is much easier both psychologically and logistically for a doctor to keep treating a serious disease with a familiar therapy even when the disease is not responding. How an oncologist thinks through the value of complex and harsh treatments demands not only an understanding of science but also a sensibility about the soul – how much risk we are willing to take and how we want to live out our lives. It is understandable that many cancer specialists are truly concerned when patients, especially children, forsake orthodox therapy in favour of alternative therapies …. Because of the overwhelming side effects, despite of the doctor’s prognosis of a possible cure from such treatment … As a parent I tried to place myself in his patients’ position; how would I react to watching my child suffer as a result of the side effects of this powerful treatment? The crying, the hair loss, the nausea. How much would this conflict with my own instincts to protect my child from the toxic effects of the world? Who would I really be doing this for? How much was this to do with my own fear of dying? These are questions born out of love. There is, I’m sure, a better way. Fear of dying must not dominate over the love of living.